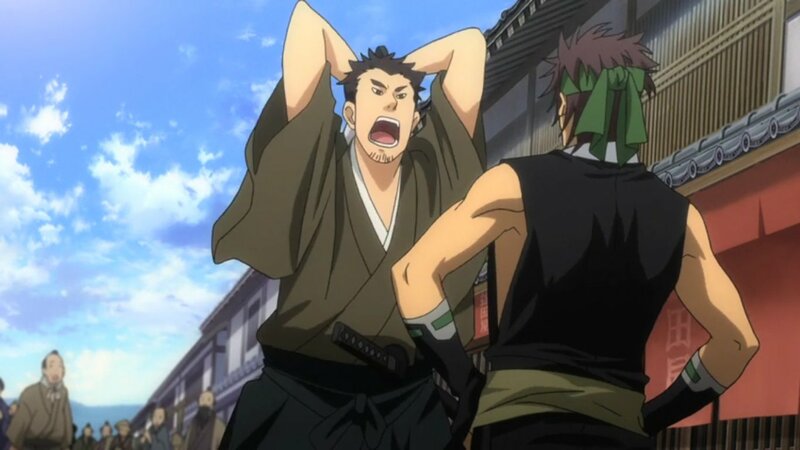 Saito Hajime comes to visit Kondou and Hijikata and wants to join the Roshigumi. He knows of their situation that they have no patron. 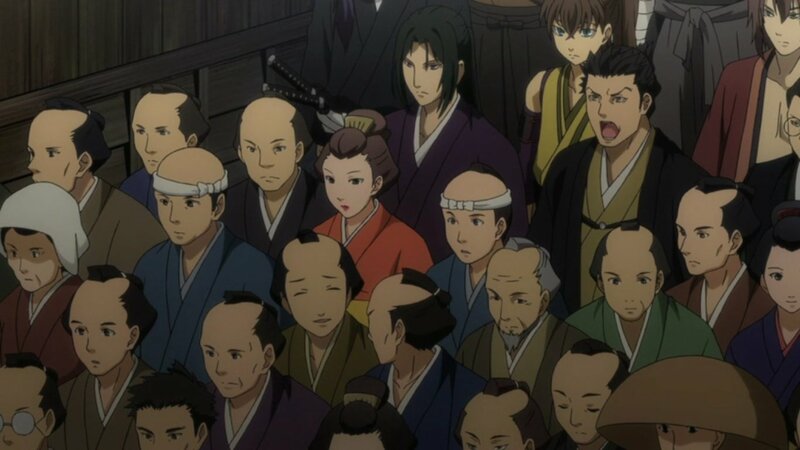 Hijikata orders a few of them to patrol to try and win some favour points to be hopefully sponsored by a wealthy clan. When out buying Sake, Ibuki meet some rogue samurais picking on civilians. He tries to help but is scared into submission. Luckily the others on patrol were nearby and takes care of them. The continuous friction between Serizawa and Kondou seems to have happened on the way to Kyoto where Kondou accidently didn’t book a room for Serizawa to stay resulting in a burnt building and Kondou apologising to Serizawa. The Shogun passes by on the streets and during that, Kondou along with his men try to get an audience so they can be the Shogun’s protectors. Serizawa holds a meeting about sponsorship from the Bakufu, involving the Ochimizu. 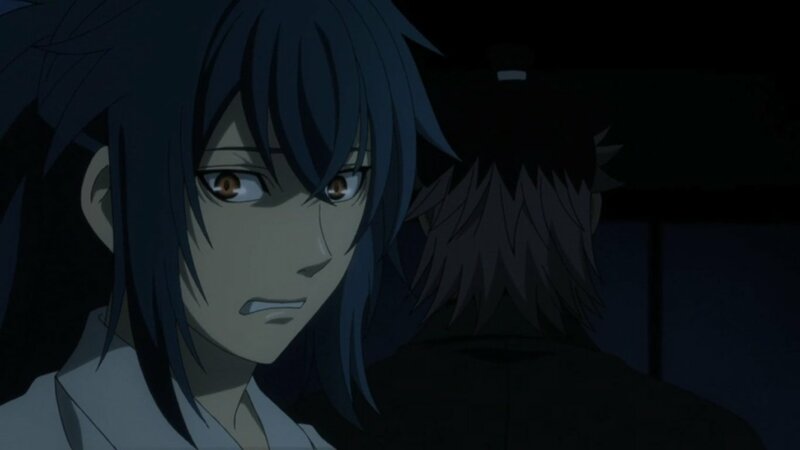 As Ibuki’s cleaning up around the place, a little boy comes running crying and scared. When he goes to look, a bloodstained Saito and Shinpachi stand before him. I want to say that the story hasn’t really developed much here and I don’t know what’s going on. But I think that’s a bit harsh considering it is a prequel and they do expect you to have watched the other series. 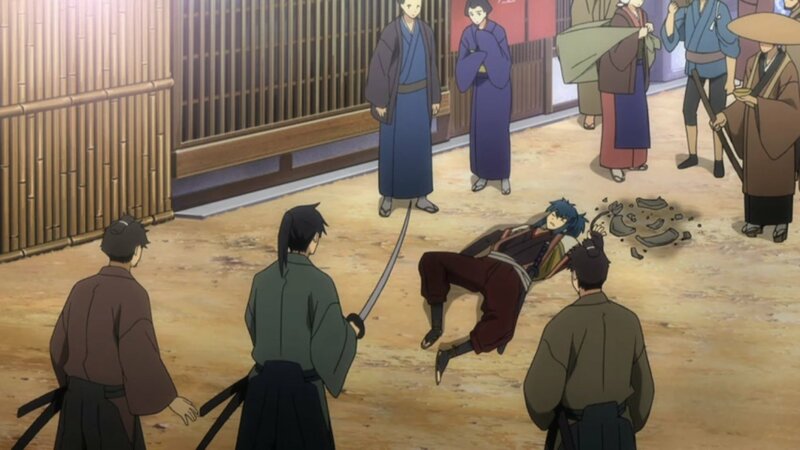 So that said, it is good to see how the Shinsengumi first started. 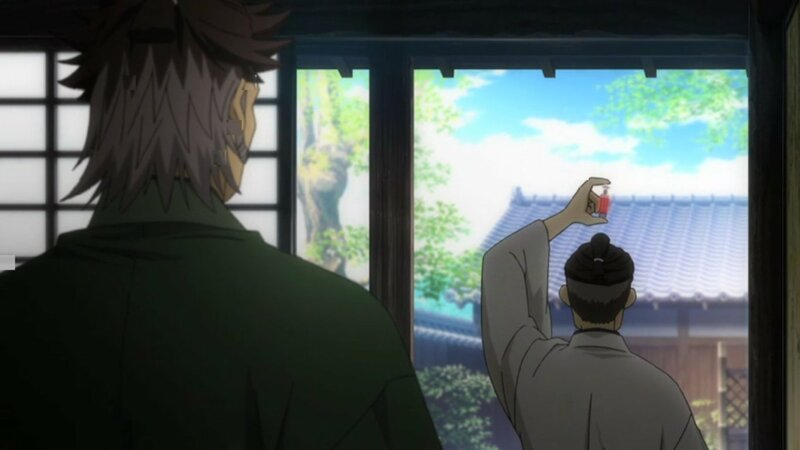 I’m assuming that’s the story, the events that led Kondou and his Roshigumi into becoming the Shinsengumi and the interesting events along the way. By the looks of things it will follow actual historical events and add own interesting details. Like for example, Ochimizu being involved again. I’m quite interested to see where it’s going with that this time. I can tell that Serizawa will probably turn into some sort of villain, so I’m looking forward to seeing what he’s planning to do. In terms of Ibuki, we’ve seen him in a state of weakness again. 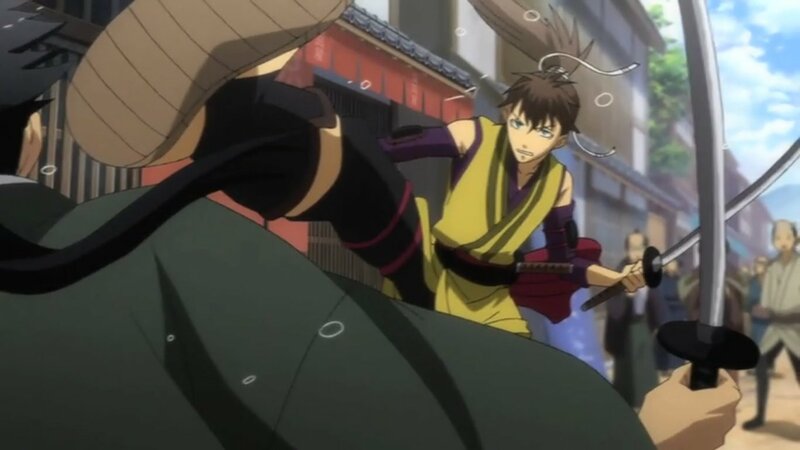 Which makes me think that it’s likely he will stay with the Shinsengumi and train to become stronger. We still don’t know what happened in his past that resulted in him being on the ground at the start of this series, so I’m predicting that’s going to be vital, perhaps it ties in with something here. Either way, what I’m thinking is that Ibuki will have to face Serizawa in battle at some point. But that’s just a hunch at this moment. Whatever happens in the story, I think I’ll be more interested in the actual historical events and how the anime portray them. But who knows, perhaps this story will be an enthralling one.